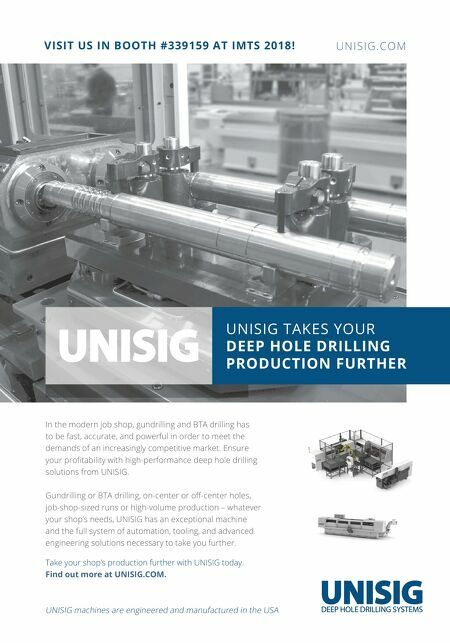 UNISIG TAKES YOUR DEEP HOLE DRILLING PRODUCTION FURTHER U N I S I G . C O M In the modern job shop, gundrilling and BTA drilling has to be fast, accurate, and powerful in order to meet the demands of an increasingly competitive market. Ensure your profitability with high-performance deep hole drilling solutions from UNISIG. Gundrilling or BTA drilling, on-center or off-center holes, job-shop-sized runs or high-volume production – whatever your shop's needs, UNISIG has an exceptional machine and the full system of automation, tooling, and advanced engineering solutions necessary to take you further. Take your shop's production further with UNISIG today. Find out more at UNISIG.COM. 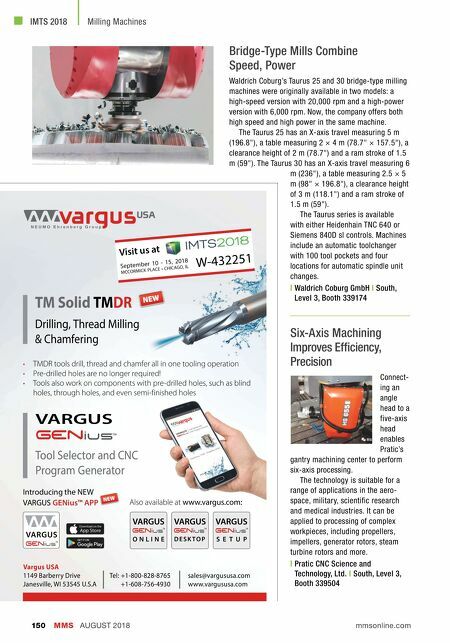 UNISIG machines are engineered and manufactured in the USA VISIT US IN BOOTH #339159 AT IMTS 2018!